Last week my family headed to Cancun for a friend's wedding. The weather was perfect, the venue was stunning, and the couple was beyond happy. It was such a beautiful scene for a lovely event. I hadn't been to a beach wedding in a very long time so definitely needed to find something to wear. Since it was going to be in sunny Cancun, I wanted to wear something light to stay cool in the heat. I wanted the dress to be simple yet formal, something bold yet demure. 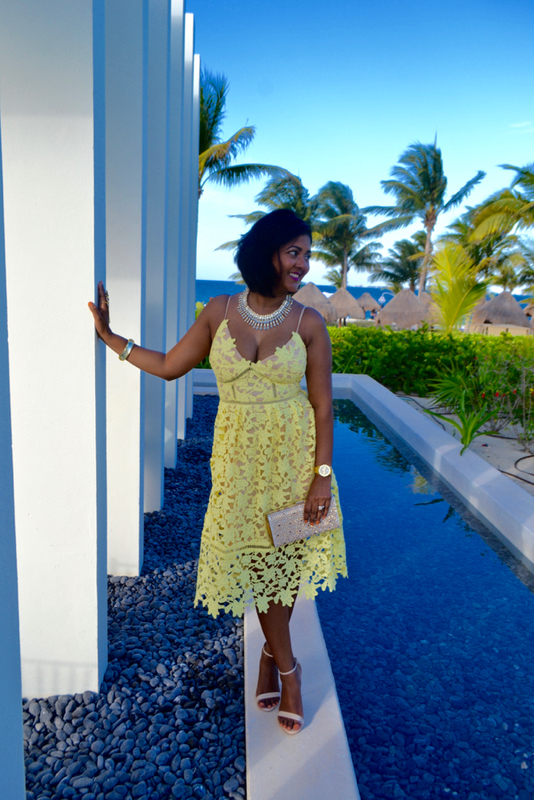 I came across this yellow dress and knew I had the perfect necklace to make this outfit complete. I love wearing yellow and gold is the best compliment to it. This floral lace overlay dress is soft and feminine. his statement necklace from 7 Charming Sisters took this dress to the next level. 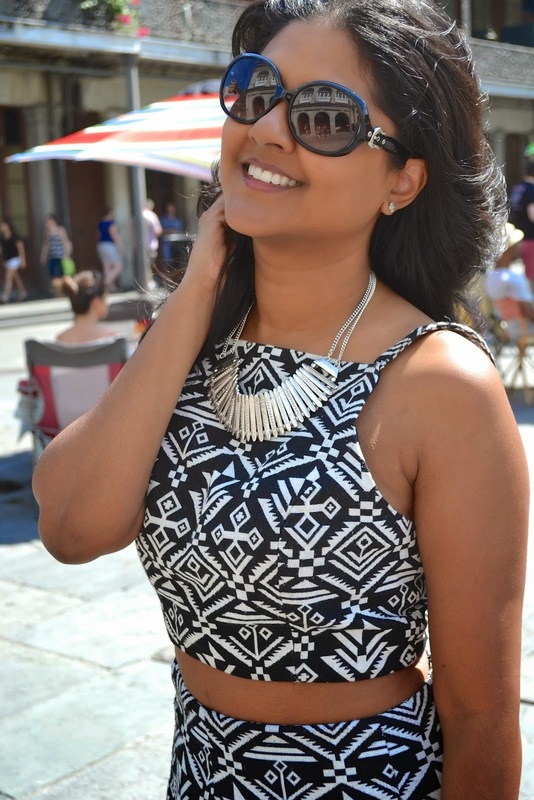 I love to accessorize and have fun with my jewelry and this necklace does not disappoint. First of all, the name of this is "Conquer the World" necklace. How can you not feel amazing wearing this, which I did. The addition of this crystal, drop collar necklace took this dress from a pretty, beach wedding dress to a stunning, formal beach wedding attire! The quality and feel of this necklace is superb and by looking at it, one would think that I paid an arm and a leg for it. Luckily, 7 Charming Sisters knows that women want to be able to enjoy stylish, fashionable pieces at affordable prices. This gorgeous necklace is only $47! When I look good, I feel good and this necklace makes me feel good in so many ways. First, its high quality and stunning and secondly, I didn't pay an enormous price tag for it. Affordable fashion is important to me and with having a little one now, I am even more inclined to be budget savvy. I'm a mom who wants to enjoy traveling and look good while saving money! You can too, with promo code, 'Asto20', enjoy 20% off your purchase of regular priced merchandise on the 7 Charming Sisters site. If you are looking for that piece to jazz up that special dress you plan on wearing this summer, you will, without a doubt, find what you are looking for on their site. Their selection is eclectic and pleasing to everyone's style. Hope you find that perfect piece!